It has been a while since my last entry. 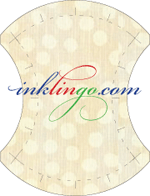 And this blog, quilting, fabrics and sewing have been consistently on my mind! There have been several knitting projects completed (not photographed yet), many yards of fabrics bought (I can’t even begin to keep track of them!) and many projects stated (I need to tweak the WIP column very soon!). Last week, I found a really neat shop, Sin Hin Chuan Kee, along North Bridge Road. It’s a traditional wholesaler shop (read: old and not great with displays) that packs lots and lots of goodies at great prices. 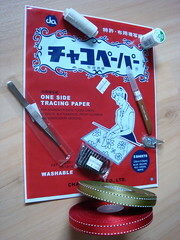 I found Chaco paper for tracing Sashiko patterns, elastic threads, tweezers (for getting paper backing out from appliques), and there are a whole of goodies in the store! I bought 2 reels of ribbons at just about US$1.90 each for X’mas crafting too. 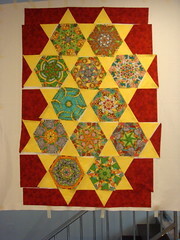 I was packing up my stack of WIP the other night, then I saw my Zoo blocks looking so cheery and bright… and neglected. I remembered planning for the borders to be a deep shade of red. What a perfect X’mas gift for Benji! And I started to get into the swing of things (if I leave it till ‘later’ again, I will not get it done! ), and started tracing the fabrics, cutting them, and taped up my layout mat on the wall. I’m now sewing the rows together, then will put up the borders hopefully by end of this week! Yippee!